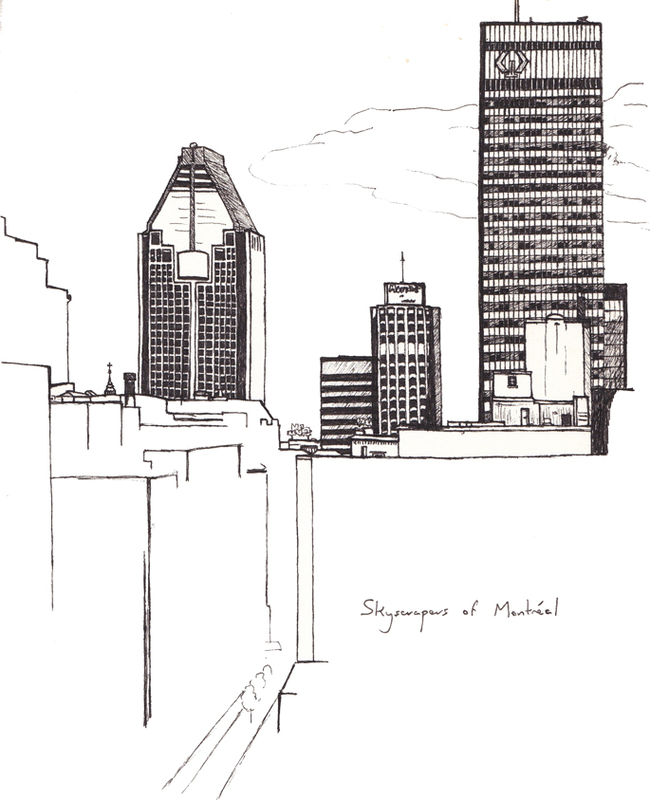 As a fifteen-year-old, being in Montréal for the first time was an unforgettable experience. I was captivated by the beauty of the old town, its diverse cultural scene, and the distinct meld of European flair and North American optimism. My family had booked a hotel room somewhere along Sherbrooke, between the downtown skyscrapers and the slopes of Mont Royal. Although I did have a camera at the time (one of those tiny ones that used film), something about the city inspired me to record this scene in my sketchbook. Thanks Debra! I guess you can tell that I was already interested in architecture by that point. Let’s say, it is just like one of your amazing photographs come draw :P! Montreal’s one of my favorite places in the world. Know those buildings well! Great sketch! Thanks Jackie, I would love to go back someday – Montreal has such a special vibe!